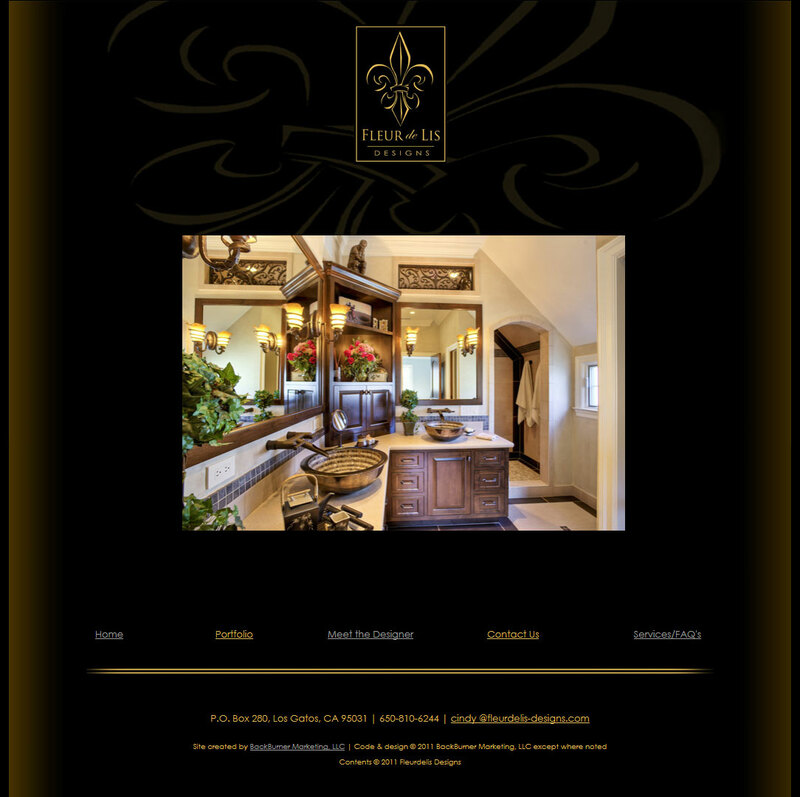 Fleur de Lis Designs came to us as a startup interior design company needing an identity and web presence. Owner, Cindy Steele, wanted a sleek, classy look that wasn’t too stuffy. She wasn’t sure how her logo should look or even what colors she should use. What she did know, was that she prides herself in her work as a high-end architectural desinger, interior designer, and project manager. In typical fashion, we gave her several choices of logos, with different themes. She loved this one–which happened to be our favorite, too. Every professional business needs business cards and stationary. Fleur de Lis Designs was no different. From greeting protential clients, to writing proposals and invoices, we had to conver to all. We designed a classy stationary package to include a business card, letterhead and envelope (shown on the left) and a large yard sign (capable of being printed on metal, corrugated materials or canvas) to hang at project sites (shown on the right). 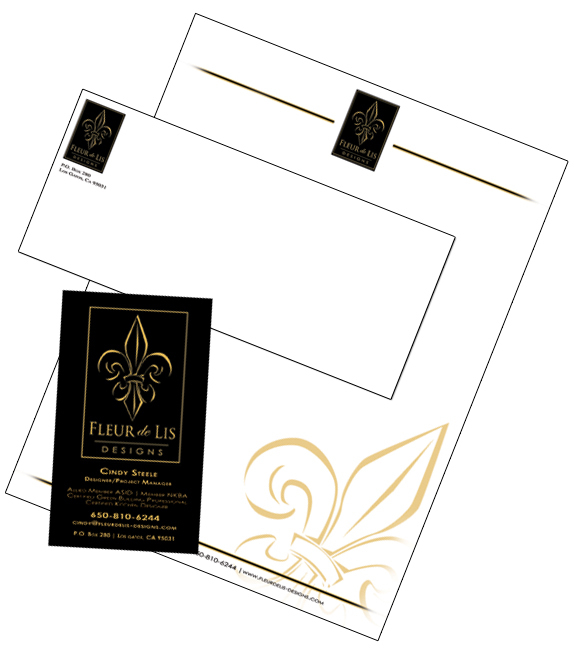 Lastly, Fleur de Lis needed to be found by the ever growing popular web based clientele. It is true these days, no one opens the yellow page book and points a finger to randomly choose a business based on whatever odd reason strikes a persons fancy, be it name, location on the page, ad presence. Now, smart shoppers research on the web. They scower numerous pages, read reviews, and look at pictures. So, to grab the attention of potential clients, we had to make a website that was both eye catching and informative, while staying with the classy brand we had built based on Mrs. Steele’s wishes. To do this we stuck with the colors we chose for the logo and other collateral. We then added a slidshow on the home page with a smaple of the company’s different styles of design work. The secondary pages follow suite in color and graphics, with an easy navigational menu at the bottom to complete the sleek and classy feel. 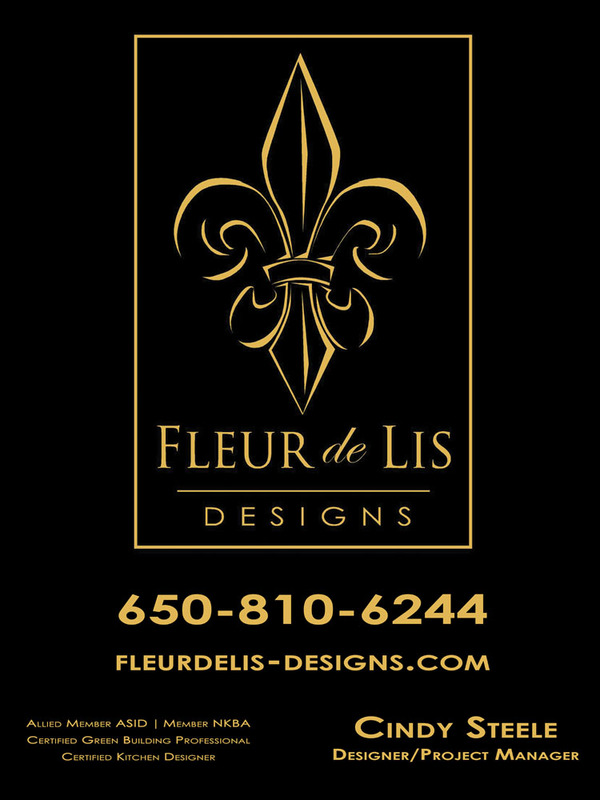 Visit Fleur de Lis Designs on the web here.